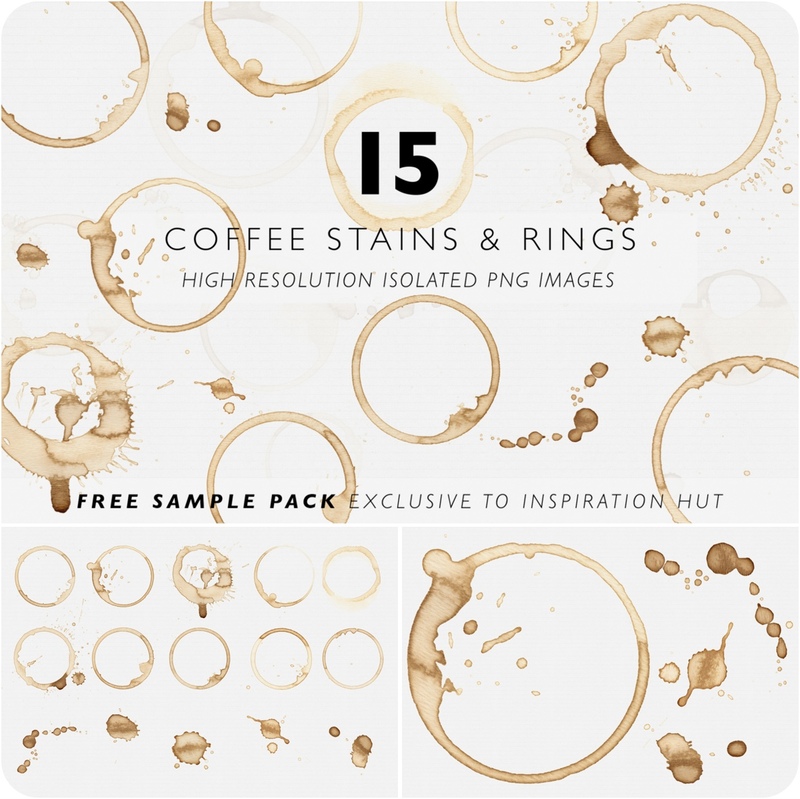 Set of 15 free coffee stains and rings will instantly add an element of realism to your digital work. All of the images included are in the PNG format and are entirely transparent making them super easy to work with. Each element was scanned at a huge 1200dpi to reach the highest possible quality and realism. Tags: coffee, coffee ring, coffee stain, ring, stain.